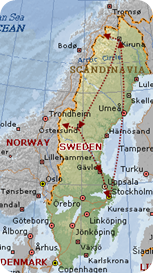 Our bags are nearly packed and Juliette and I are getting ready to head off to Sweden to meet Jennie & Rich for a grand spring skiing tour of Sweden. 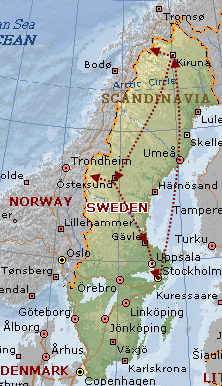 We are flying into Stockholm, then flying up to Kiruna above the arctic circle to join in on the Swedish pure freeride camp in Abisko. We are then heading to RiksgrÃ¤nsen, the northernmost ski resort in the world for a few off-piste adventures that includes helicopters and forays into Norway. From there, we take a train down to Enafors to meet Jennieâ€™s friend Thomas who is joining us for a tour at Sylarna in the JÃ¤mtlandstriangeln. We will then head back to GÃ¤vle with Jennie and Rich before hitting Stockholm again and flying home.